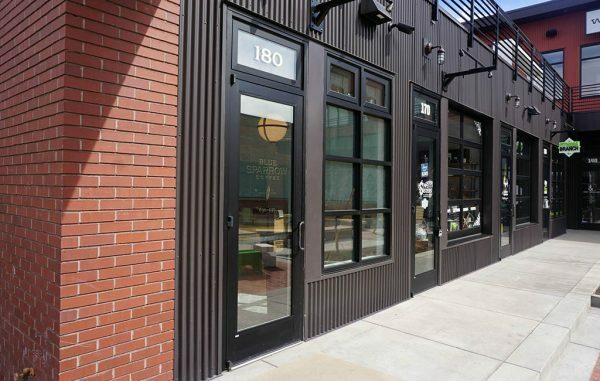 The man behind a handful of local coffee shops is testing the waters in RiNo. For four months Jeffrey Knot – who helped open Prodigy Coffeehouse, Pigtrain Coffee in Union Station, and Thump and Bluegrass Lounge in Arvada – has overseen design and engineering at fledgling coffee shop Blue Sparrow. The business, which joins RiNo coffee staples Ink, Novo and Crema, is setting up inside 500 square feet at Backyard on Blake. Blue Sparrow is set to open this month. The shop has a garage door to open on nice days and will have room for about 10 seats, Knot said. One of the main attractions should be its new Slayer Steam machine, a specialty espresso machine that improves milk steaming and flavor. The coffee shop will rotate through local and international coffee roasters, including Denver-based Strava Craft Coffee and Method Coffee Roasters. Knot said another feature of Blue Sparrow will be eight tap handles of non-alcoholic beverages, including kombucha and housemade sodas. Blue Sparrow also will carry pastries, baguettes and other baked goods from Babettes Artisan Bakery, in The Source.